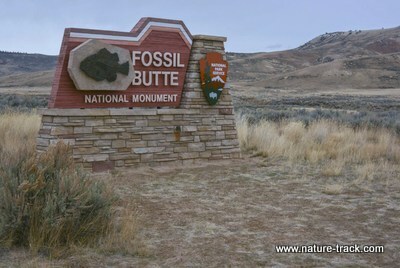 Fossil Butte National Monument is a bit of a drive from Idaho Falls but with only 18,000 visitors a year, it won’t be crowded when you get there. If I could be transported back 65 million years to stand in the very places I love to visit now, I would not recognize any of them. Vast inland seas and lakes filled much of the land. Mountains of today were mere foothills if they had begun to rise at all. The climate of some of our high deserts was humid, and the areas were covered not with sagebrush but tropical plants like palms. Even most of the animals from that bygone era were very different from what walks the earth today. As difficult as it is to envision that distant past, last week my wife and I discovered a place that comes as close as any I have found in putting it into perspective. Fossil Butte National Monument in the southwest corner of Wyoming near Kemmerer, is that place. Fossil Butte National Monument is relatively young as monuments go. It was created by an act of Congress in 1972 at the urging of local residents. That in itself is almost unique. It is much more common for monuments to be designated by presidents under authority of the Antiquities Act and equally uncommon for locals to be in favor of such a move. In this case though, residents understood the exceptional values that the monument would preserve and led the fight to create the 8,000-acre monument. Fossil Butte itself is at the south end of the park but is about the center of ancient Fossil Lake. Here in the layers of the 200-foot-thick Green River Formation atop the butte lies a fossil aquarium. Inside the layers of this tan-colored rock which was once the sediments on the bottom of the lake, are billions of fish fossils and other fossils as well. Many of these are so well preserved that scales, skin and fine bones are still intact. Another nearby layer, the reddish-hued Wasatch Formation, contains fossils of a different type. Here you can find plants, crocodiles, turtles and a variety of mammals from primitive horses to primates as well as the fish. Between these two formations there are hundreds, perhaps thousands, of species of invertebrates, fish, reptiles, mammals and plants. These fossil beds are rich in another way as well. Paleontologists are thrilled to find associations of plants and animals together as well as animals interacting. 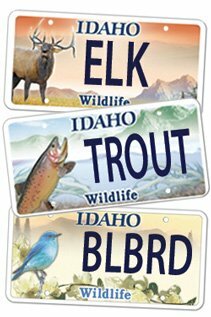 There are specimens of fish eating other fish, mating and even hatching. Plants and invertebrates are found with crocodiles, mammals and fish. This makes it possible to re-create, in part, what the ecosystem might have looked like at a given time and really gives life to this forgotten time. Fossil Lake was the smallest of three Paleocene lakes in the area that persisted for several million years. Nonetheless, Fossil Lake was a large and mostly shallow lake with sediment beds that stretched for miles, far beyond the current monument boundary. A small change in water depth could flood or dry out huge playas creating areas for entrapment of the living and dead. 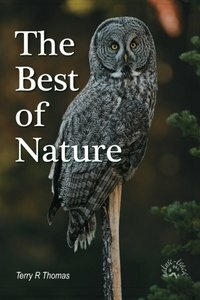 Fossil Butte National Monument is also a great place to see today’s wildlife. Hunting is not allowed in the Monument so big game find it a haven during the hunting season. We saw perhaps 800 elk on the slope of Fossil Butte, several large herds of pronghorn antelope and a handful of mule deer.